The season 4 League of Legends Championship Series (LCS) European summer split finals saw two great teams step to the Gamescom stage. Fnatic (FNC), who have been an ever-present entity in the League of Legends professional scene, competed in the Season 1 Championship versing against All authority (aAa), and now has a roster boasting four of the ten original Season 1 players. Last year they took home 1st prize at the Spring and Summer LCS playoffs. Along side Fnatic, Alliance also stepped to the stage. 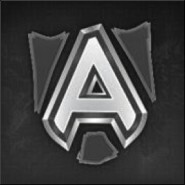 Not having much history as a team, Alliance, formed in December of 2013 with several renowned players from other teams. This year they stormed through the ranks in the summer split with an impressive six wins to two losses. Fnatic was the clear fan favorite for the best of five, with prediction votes coming in at 60% in their favor. Alliance clearly didn’t let that hinder them–they set about game 1 picks and bans confidently. At 9 minutes, Alliance showed their dominance of the map by taking the first dragon then rotating to bottom lane for first blood on sOAZ. Chart depicting K/D/A, towers destroyed and gold earned over the course of all four games. Game 2 told a similar story and game 3 was a whole other kettle of fish. It looked like it was off to a good start for Alliance; then they fell behind in CS early on and positioned poorly, which meant handing over too many kills to Fnatic. 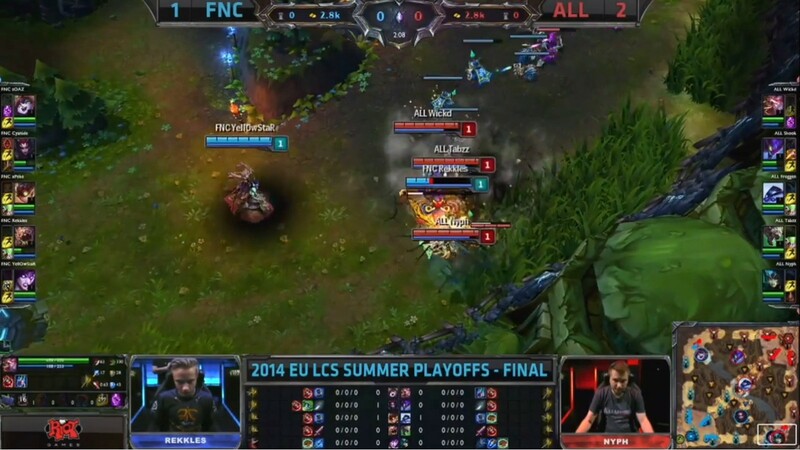 By the end of the game at 41 minutes, there was a difference of 12 kills and 12.2k gold in Fnatic’s favor. This meant they would be heading into a fourth game, which opened in a terrifying way for Fnatic. Rekkles face-checked the blue side bush in bottom lane, where Tabzz, Nyph and Wickd were waiting. Rekkles disappeared in an instant and first blood was announced. Alliance knew exactly what to do with their newfound lead, and controlled the map, giving them an uncontested dragon kill, a 3-0 team fight, and the second dragon too. The game began to snowball in Alliance’s favor and they took down the nexus at the 39 minute mark. Rekkles being a little reckless and face-checking the lane bush. R.I.P. 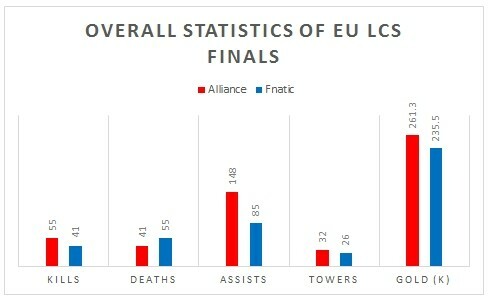 All four games were played spectacularly by both sides, but Alliance’s ability to capitalize on almost every lead and control objectives almost flawlessly is what crowned them as the first team to defeat Fnatic at the EU LCS finals. Get excited, because the World Championship is just a month away.